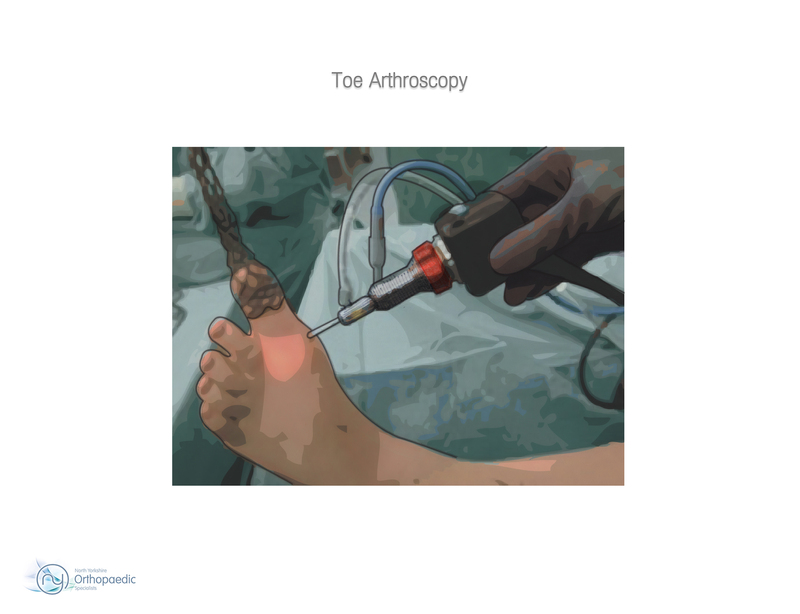 Surgery is the approach that is often necessary to correct hammertoe that fails to respond to nonsurgical management. Surgery is appropriate when the muscles and tendons involved in a hammertoe problem have become so tight that the joints are rigid, misaligned and unmovable. There are a number of surgical techniques for dealing with the complex range of joint, bone, muscle, tendon and ligament abnormalities that define each hammertoe's make-up. To correct a hammertoe deformity, the surgeon's goal is hammertoe to restore the normal alignment of the toe joint, relieving the pressure that led to the hammertoe's development (this should also relieve the pain, as well). To do this, he or she may remove part of the boney structure that creates a prominence at the top of the joint. Tighten or loosen the muscles, tendons and ligaments around the toe joints. Realign the toe bones by cutting one or more and shifting their position, realigning muscles, tendons and ligaments accordingly. Use screws, wires or plates to hold the joint surfaces together until they heal. Reconstruct a badly damaged joint or replace it with an artificial implant.